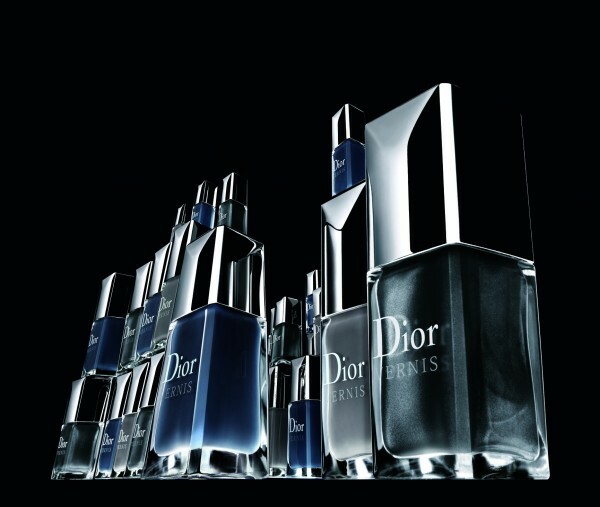 To celebrate Dior’s love for grey, the French fashion house has launched a new limited edition trio of nail polishes: Dior Vernis Gris City. The three grey-hued shades are inspired by the greatest metropolises of fashion and luxury: Paris, London and New York. With this fall’s most recent enamel collection, Dior changed the shape of their brushes. As I told you before, it took me some time getting used to at first, but now I actually love the more precise control this new shape affords. Below you see three mood boards that I put together for you to capture the city’s style and to inspire you for some great outfits. Gris Montaigne is an elegant tone celebrating the iconic code of the Dior house in Paris where Christian Dior’s favourite colour dominates the decoration of the boutique on Avenue Montaigne. Bond Street is a grey muted with blue, inspired by the emblematic English fog. NY 57th is the address of Dior’s New York boutique. The metallic grey enamel stands for the colour of asphalt and is an homage to the dusky light of the Manhattan skyline. This exclusive trio is available in a limited edition now in the new Christian Dior boutique in London on Bond Street, designed by Peter Marino, as well as in the Dior house on Avenue Montaigne in Paris. Starting December 9th, 2010, it will then be sold in the New York store. So it might take some major work to get your hands on them.